Solaman G. Lippman was the founder of the Firm. Following his retirement in 2002, he assisted the Firm on questions of law and strategy. He passed away on June 19, 2008. Mr. Lippman founded Lippman, Semsker & Salb in 1972. 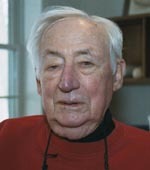 After graduating from the University of Chicago Law School, where he was an Associate Editor of the University of Chicago Law Review, Mr. Lippman became one of the first attorney-appointees at the newly-formed National Labor Relations Board. After serving the NLRB, Mr. Lippman became General Counsel to the Retail Clerks International Association, where he served for twenty-seven years. When he retired, the Retail Clerks Union (which later merged with two other unions to become the United Food and Commercial Workers Union) had hundreds of thousands of members. Mr. Lippman served as General Counsel to the National Organization for Women (NOW) from 1981-1984 and General Counsel to the Associated Fur Manufactures and United Fur Manufacturers from 1978-1984. He was General Counsel to the House Education and Labor Committee, Pension (ERISA) Legislation and Amendments from 1974 until 1976. Mr. Lippman served as Chairman and Committee Member of the ABA Labor Law Section’s subcommittee on Practice and Procedures before the National Labor Relations Board. University of Chicago (B.A., 1933; J.D., 1936). Associate Editor, University of Chicago Law Review. United States Courts of Appeals for the Second, Third, Fourth, Seventh, Ninth, District of Columbia, and Federal Circuits.